Marshmallow vs Lollipop: It’s been 6 months since the latest release of Android aka Marshmallow has been out and while this may seem like a long time, most of the devices haven’t still been updated. 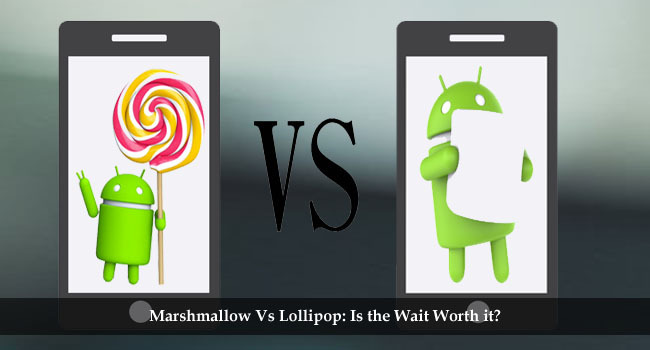 This is quite normal in the Android world, so we decided that while you wait, we give you an extensive comparison between Marshmallow and its predecessor, Lollipop so that you are able to decide if it’s worth the wait or not. 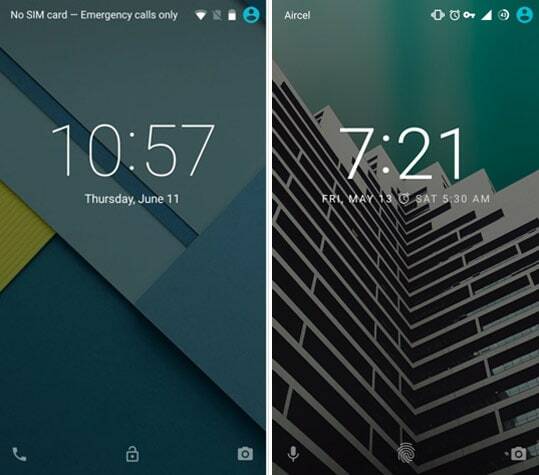 The first “visual” difference is in the lock screen, the clock widget now uses a bold variant of Roboto while Lollipop used Roboto Light. Also, the lock screen shortcuts are different. You have Voice Search and Camera on Marshmallow while Lollipop has the Dialer and Camera. Not much has changed out here again except for the animation when the notification arrives. On Marshmallow, the notification falls down with a thud while Lollipop is just a slide down animation. 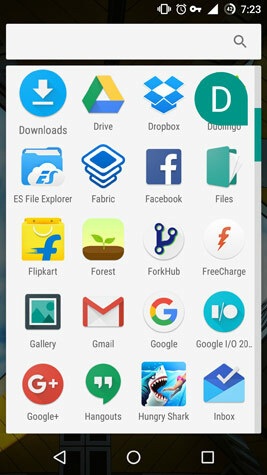 The app drawer is the place where you would come across the next visual difference. 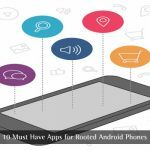 While Lollipop boasts a horizontal app drawer, Marshmallow uses a vertical one, also your most often used apps are right on top of the list. 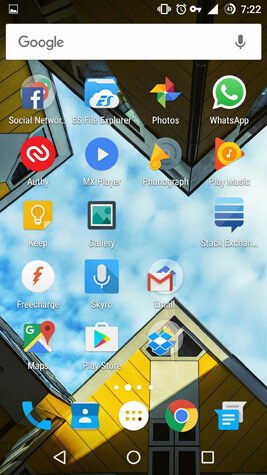 But then again this is just the Google Now launcher in play, you can swap it out for the one of your choice, and have a totally different look. Lollipop introduced Project Volta, an attempt to get the most our of the last drop of juice from your battery while still staying efficient. This meant a 90-minute extended usage on the battery saver mode. Marshmallow takes this a step further with Doze. Doze is basically a setting which is triggered when your device is not being used for a prolonged period of time. The system goes into a deep sleep state and only high priority interrupts are addressed. 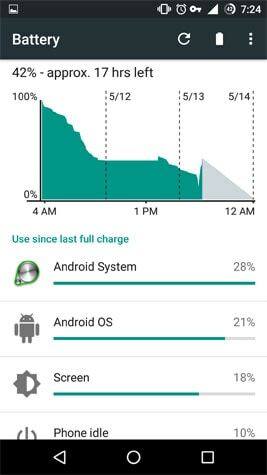 While Doze can and has been further improved on the Android N beta release, the current version of Android still doesn’t disappoint me because of the increased standby time. Performance is almost similar on both versions of the operating system but Marshmallow takes it a step further with better memory management. 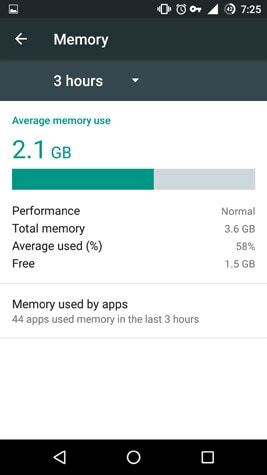 Also not to forget the RAM manager option on Marshmallow which does a great job at informing what app is using the most resources. This one of the biggest difference between the two variants. 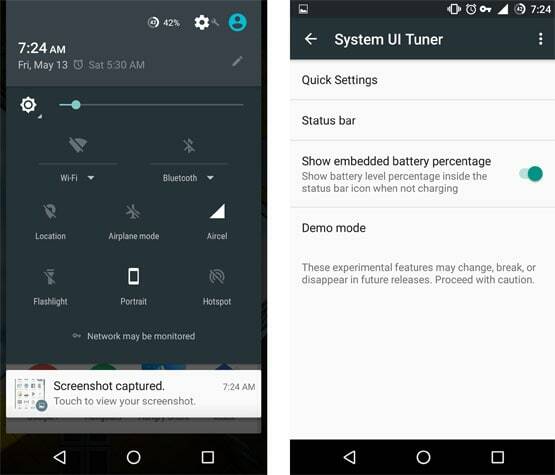 Lollipop, like other versions of Android, showed app permissions only on the Play Store listing and install time, which was mostly neglected by users. Marshmallow makes this better by giving users a more informative control over what permissions apps need. 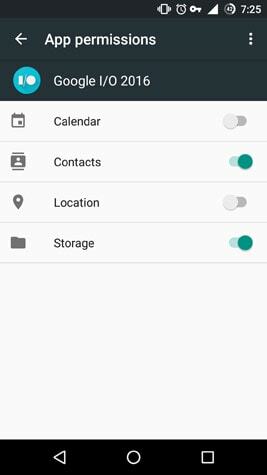 Now instead of agreeing to the bogus list of permissions, you will be able to grant or deny them when the app actually needs it. Up until now Android played well with external storage but they were two separate entities. Which means apps would install on your internal storage and when you run out of space you’re out of luck, unless you root your way out. 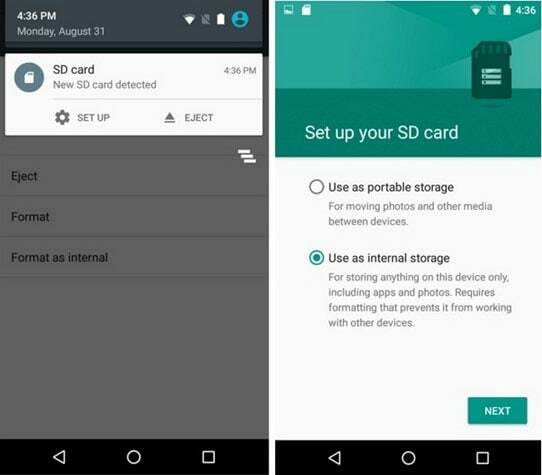 Marshmallow introduced Flex Storage which allows you to use the external SD Card as part of the internal, thus actually expanding your internal storage capacity. Google Now is great, it definitely is, but Marshmallow will force you to love it more with its flagship feature, Now On Tap. 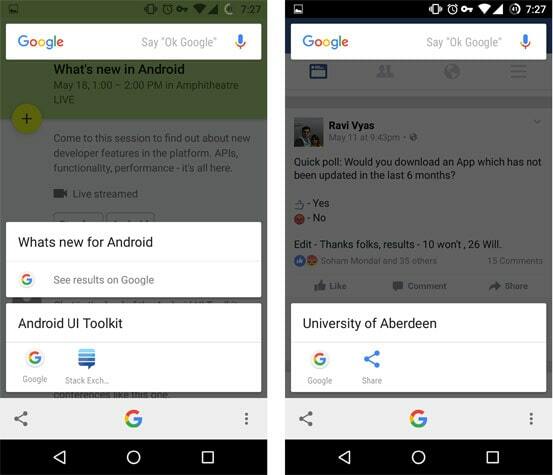 Now On Tap is basically Google search on steroids! It is capable of reading your screen and providing contextual information proactively. While still nascent, the tech is quite promising. Both the platform releases brought with them a number of new ways of simplifying authentication. 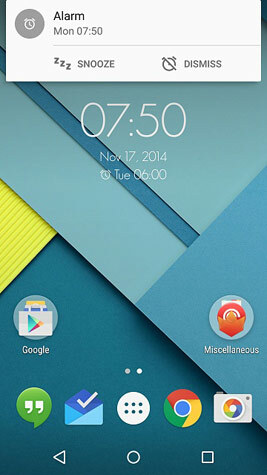 Lollipop introduced Smart Lock which uses face detection, Trusted Location and even if voice as a key. 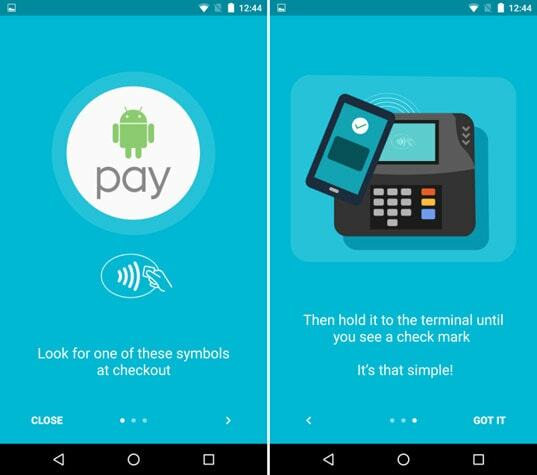 It is also able to detect if the device is idle or moving and on the basis of that it keeps the device unlocked for convenience. 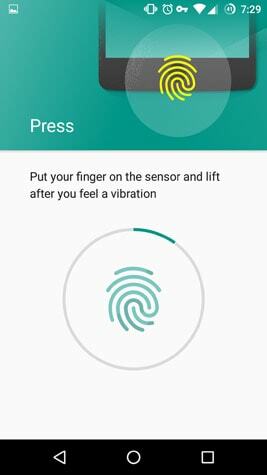 Marshmallow makes it easier by adding native support for fingerprint so unlocking your device is now that much easier and secure. After the comparison between Marshmallow Vs Android Lollipop, it’s clear that the changes are significantly smaller than they were between Lollipop and KitKat. It is quite obvious because we cannot expect Google to release a huge update every year. While both of the operating systems take a whole new take on user experience. There are pros and cons to both. This article may not cover all the nitty-gritty features of both releases but it makes an attempt to making the difference come out clean to the users. I purchased Samsung Galaxy j5 new 2016 edition, it comes with Android Marshmallow. Awesome description, really there are many advancements in the features, waiting for Marshmallow on my device, however by the time we get the Marshmallow update onto our phone, there will be Android 7 into the market.